"I am here to listen to you with a positive, judgement- free attitude and a caring heart." Linda Bramel is a Licensed Marriage & Family Therapist with a Masters of Science in Counseling Psychology. Certifications include: Prepare-Enrich Couples counseling program, certification in the EAGALA (Equine Assisted Growth and Learning Assistance) method, and trained in EMDR (Eye Movement Desensitization and Reprocessing) Therapy. Experiences which have prepared me to work with people include: 15 years at the Chino Institute for Women’s prison; facilitating groups 30 years; leader in women’s ministry & children’s leader. Experiences with different cultures and lifestyles as well as my Christian worldview give me a unique perspective. Click on the questions below to read more on the topic. These letters stand for Licensed Marriage and Family Therapist. With whom does an LMFT work? Therapists may work with children, adolescents, individuals, families, or couples: married engaged or friends, or groups. What does an LMFT do? An LMFT is trained in many disciplines to work with clients in order to help the client to achieve goals the therapist and client have agreed upon. This may include dealing with abusive relationships, traumas, depression, anxiety or pain physical and or emotional. What kinds of issues may be addressed in a therapy session? Some issues that may be addressed are: relationships, communication, depression, anxiety, trauma, sexual abuse, emotional or verbal abuse, PTSD (post traumatic stress disorder) sexual dysfunctions, pain (emotional or physical), drug or alcohol abuse, personality disorders, social behaviors, destructive thought patterns, anger, addictions, panic attacks, bi polar disorder, schizophrenia, parenting, obsessive thoughts, domestic violence, compulsions, childhood issues, and many other issues not mentioned. Many times the therapist may collaborate with your psychiatrist, psychologist or your medical doctor if necessary with your permission in order to decide upon the best treatment for you. Do I want to continue to live this way in my relationship with my spouse, friends, or children or co-workers? I have tried everything I know to do and nothing works. What can I do to stop this behavior or thought pattern? I feel alone and do not have anyone I can talk to about my problems. What is wrong with me? I am depressed and I don’t know why. I am having trouble breathing and my heart is racing at times. What can I do to stop these panic attacks? I feel so much shame, guilt, or fear. How do I deal with these feelings? No one understands me or even cares about me. My partner and I just can’t get along. All we do is bicker or fight. These are just a few things that may be going through your mind. There is hope for you. With the help and collaboration of a therapist you may be able to get the help you need in order to overcome the issues that are taking over your thoughts and behaviors. There are times when wise counsel is needed in order to get past the difficulties you may be having. It is my goal to create a safe, caring, non-judgmental environment where healing may begin. It is my belief that grace and truth with a sufficient amount of time will work together for you to accomplish the goals set in the sessions. Even though you may experience some emotional pain during the process of addressing your issues there is HOPE and emotional health to be had as you work through destructive patterns of behaviors or traumas you may have experienced, as well as negative beliefs you may have about yourself. In order to help you overcome the negative beliefs about yourself, possible negative, crippling emotions, and or physical pain you may have and to help you process through those small and big traumas experienced in your life, EMDR (Eye Movement Desensitization Reprocessing) is a type of therapy that gets results in many cases. Being a trained EMDR therapist, I use this type of therapy when it may be beneficial to my client. 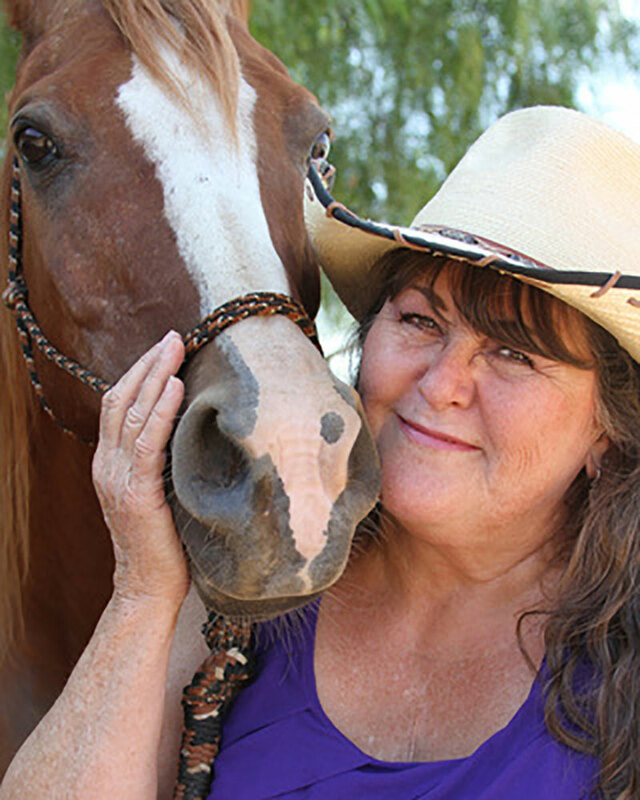 Another type of therapy is Equine Assisted Psychotherapy (EAP) I am a certified EAP through EAGALA (Equine Assisted Growth and Learning Association). With the help of horses and their sensitivity to emotions, these animals can facilitate the process of healing in an environment that is completely different from being in an office talking to a therapist. This type of therapy works well with groups, families, and individuals. It may also be beneficial to co-workers to help to create a better work environment. There are many other therapeutic interventions I may use in order to facilitate the most effective healing process. I am happy to answer your questions through a phone call or text, or email. I am also on Facebook, PsychologyToday. com, and Goodtherapist.com. There are may other therapeutic interventions I may use in order to facilitate the most effective healing process. I am happy to answer your questions through a phone call or text, or email. I am also on Facebook, PsychologyToday. com, and Goodtherapist.com. Don’t wait to reach out. Send me a message today to begin your journey.